This is the laziest chili recipe you will find. You know those days when you don’t have a lot of time to get a good meal going, this recipe is for you. Of course, I am sharing a vegetarian version, but feel free to add your ground meat of choice to this. What makes this lazy: everything is store bought. My chili is bean heavy, don’t blame me for the gas you are sure to be passing. LOL! 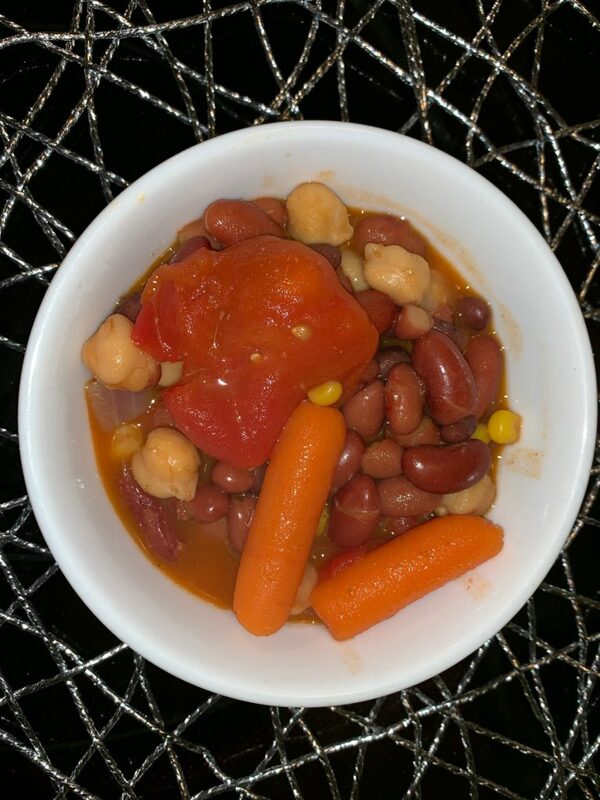 I get my protein and fiber from beans! 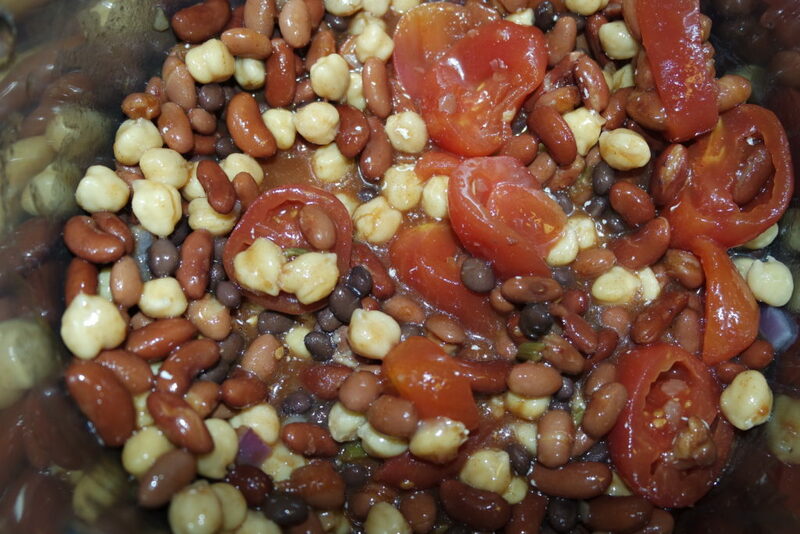 If you have time to stew all these beans fresh ahead of time, kudos to you. 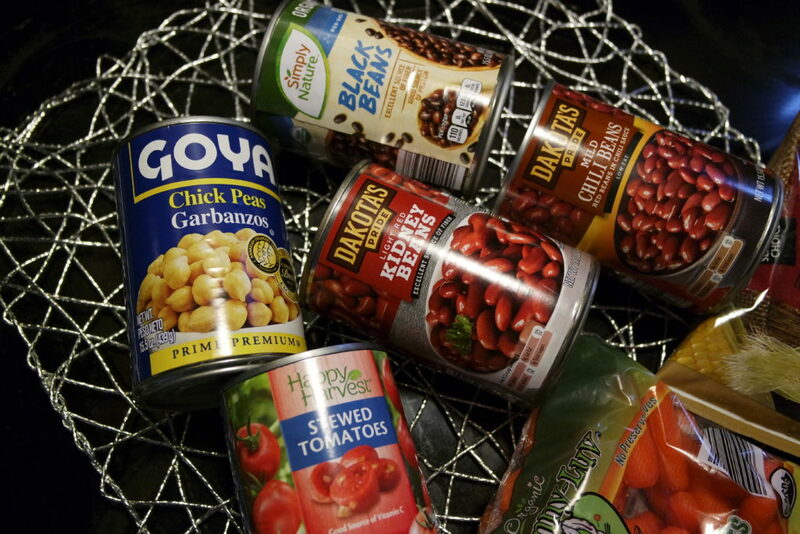 I have chosen canned black, garbanzo, chili, and red kidney beans. 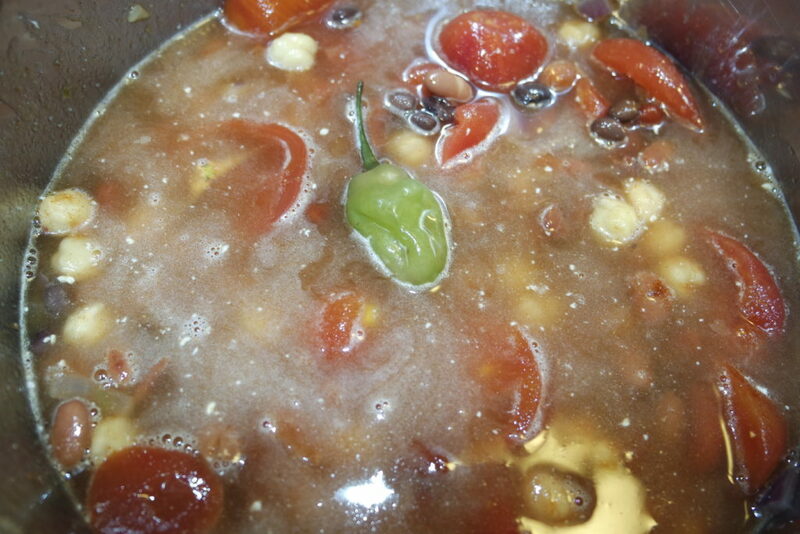 You will also need a can of some sort of tomato mixture to give the chili body. 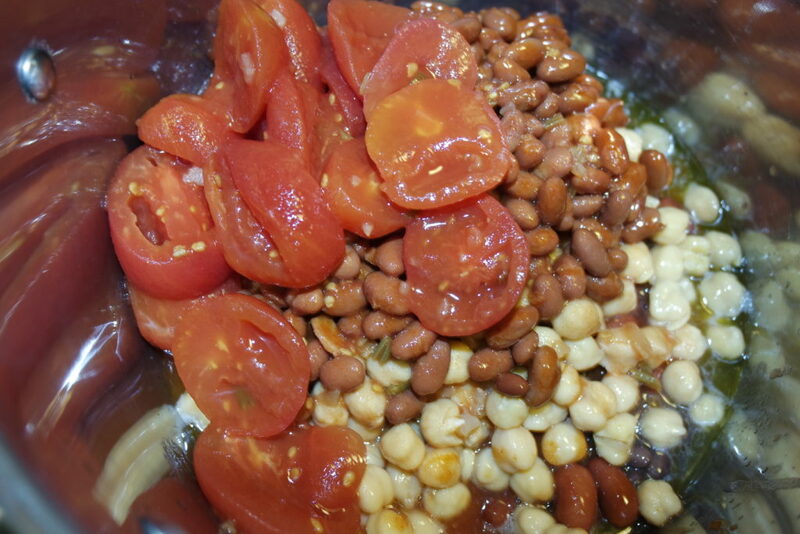 I usually get a fire roasted tomato mixture but did not find it on this shopping trip. Today we have a regular can of stewed tomatoes to which I will add the heat I am missing. 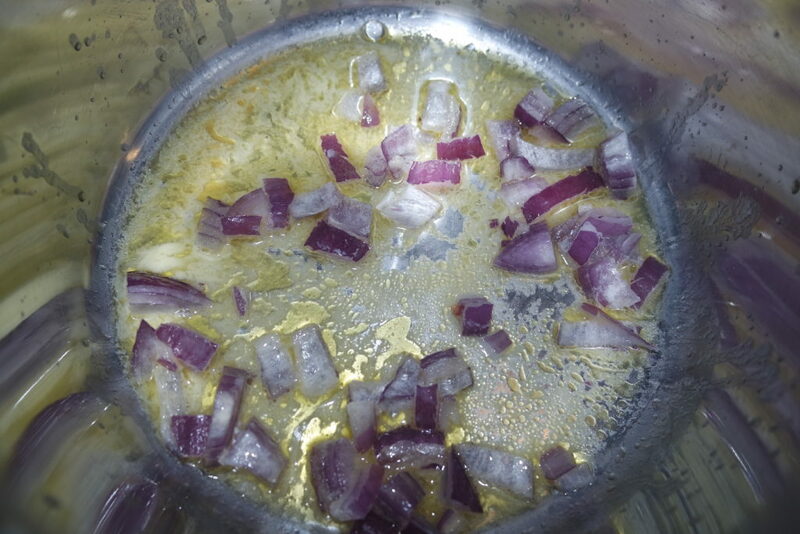 To start you will need to melt some butter in your pot and sauté your onion. 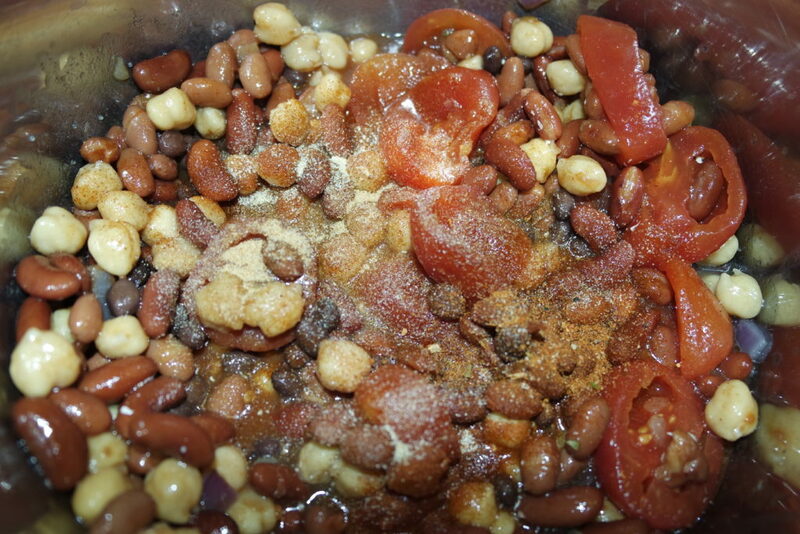 Once your onion is translucent, start adding in your beans. There is no special order, just one after the other. I drained all the liquid from each can of beans, except the chili beans. You will need the liquid from that to add some flavor. Added all the beans and stewed tomatoes! Give everything a good stir! 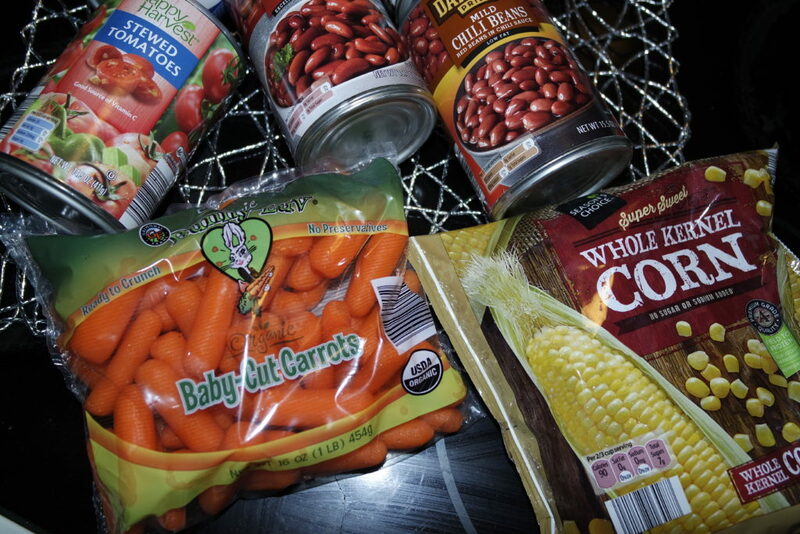 Besides the beans, you will also need a bag of baby carrots and a bag of frozen corn. Season to taste. 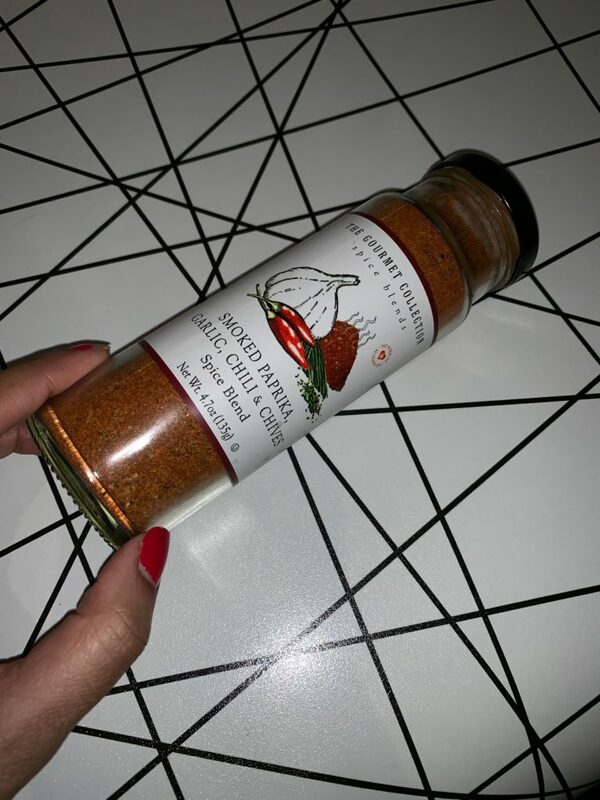 I added garlic powder, sea salt, paprika, black pepper, cumin, and a seasoning blend of chili, smoked paprika, garlic and chives that I got from Burlington. After letting everything cook for 15 Mins. 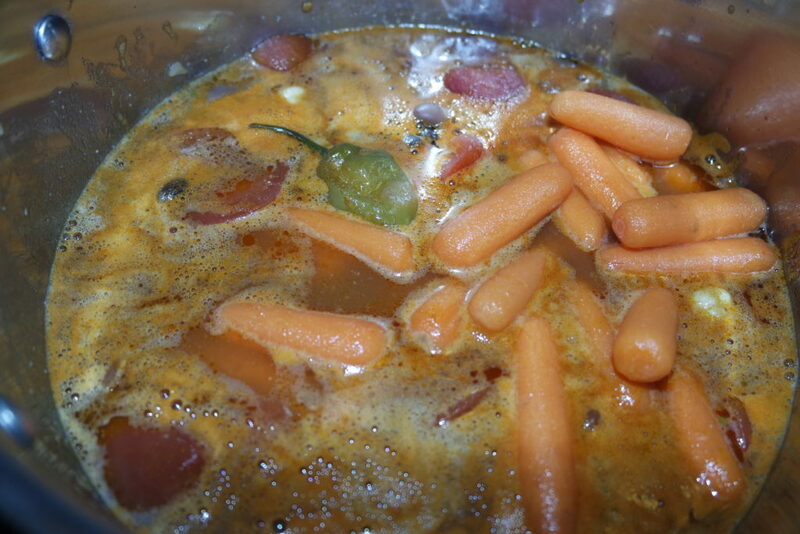 Add a handful of baby carrots. 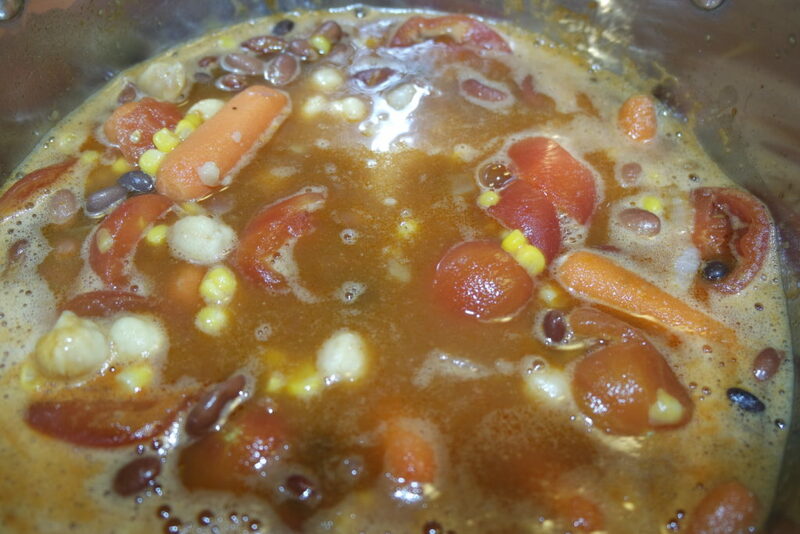 Add some of the frozen corn. Let everything cook for about 30-40 mins. (The carrots should be fork tender.) I removed the pepper. It is not the prettiest thing to photograph, but trust me it is so delicious and filling. Serve with anything you like, avocado, cornbread, sour cream etc. I eat it just like this and it is very satisfying. If you made a huge pot, feel free to freeze some for a rainy day. You may want to taste for salt at the end, or add a drop of tomato paste as a thickening agent. I mean there is literally no messing this one up guys! Enjoy! Previous Post Are You Still Checking On Your Strong Friends?